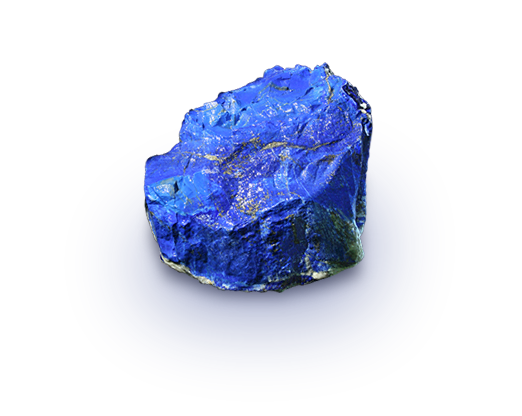 The finest lapis has uniform bodycolor, free of visible pyrite and calcite. Lapis often contains varying amounts of whitish calcite matrix—the host rock—or flecks or veins of yellow pyrite, or both. Variously described as indigo, royal, midnight, or marine blue, lapis lazuli’s signature hue is slightly greenish blue to violetish blue, medium to dark in tone, and highly saturated. 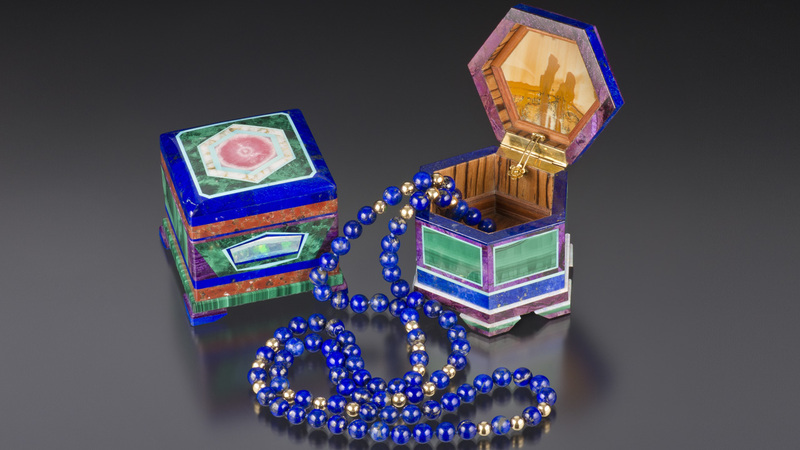 In its most-prized form, lapis lazuli has no visible calcite, although it might have gold-colored pyrite flecks. 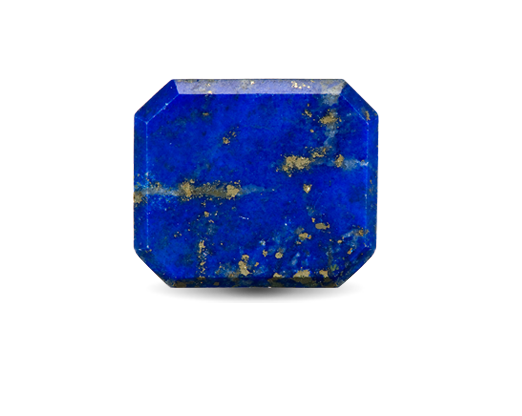 If the pyrite flecks are small and sprinkled attractively throughout the gem, their presence doesn’t necessarily lower lapis lazuli’s value. 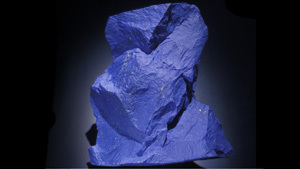 The lowest-quality lapis looks dull and green, the result of an excess of pyrite. Lapis with white calcite streaks is less valuable. 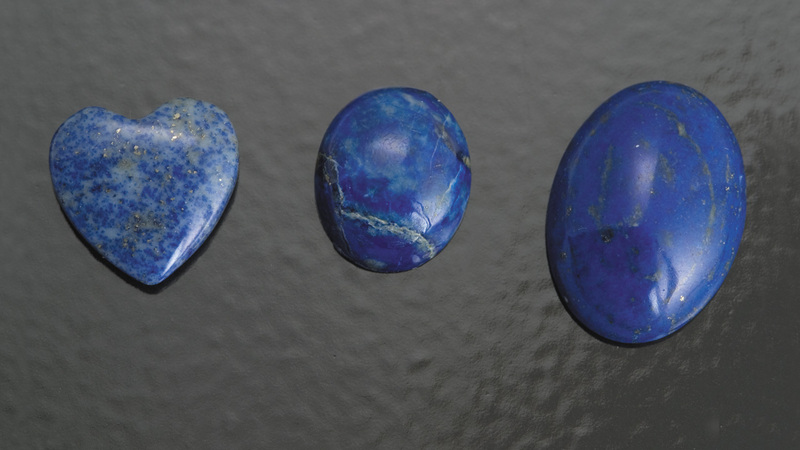 Lapis lazuli is often cut into cabochons, beads, and tablets. The gem has also been popular with carvers for centuries. This lapis lazuli specimen from Afghanistan, “The Owl,” weighs about 1 kilogram. Lapis is found in all sizes and is often cut into calibrated sizes or beads. Keep your lapis beautiful by following simple care and cleaning guidelines. Lapis is durable enough for daily wear in jewelry. Clean lapis jewelry with warm, soapy water, never with steam or ultrasonic cleaners. Some lapis is treated to improve appearance. Heat or solvents can damage a treated gem’s surface.